Finland is participating in the 55th Venice Biennale that opens on 1 June with an exceptionally large exhibition. Falling Trees, curated by the Gruppo 111 collective of Mika Elo, Marko Karo and Harri Laakso, combines the exhibitions of the Finnish artists Terike Haapoja and Antti Laitinen into a garden-like whole where the parts complement each other and which takes over both the Nordic Pavilion and the Finnish Alvar Aalto Pavilion. The exhibition Falling Trees has gained not only its name, but also its conceptual starting point from an unexpected event in the Venice Biennale of 2011, when a large tree fell on the Aalto Pavilion, shattering it and cutting short the exhibition on display at the time. The exhibition in the Aalto Pavilion by Antti Laitinen, who lives and works in Somerniemi, Finland, is a dialogue between his new and earlier works. In the centre stage is the triptych Forest Square (2013) consisting of three photographs, which will be finished for the Biennale. 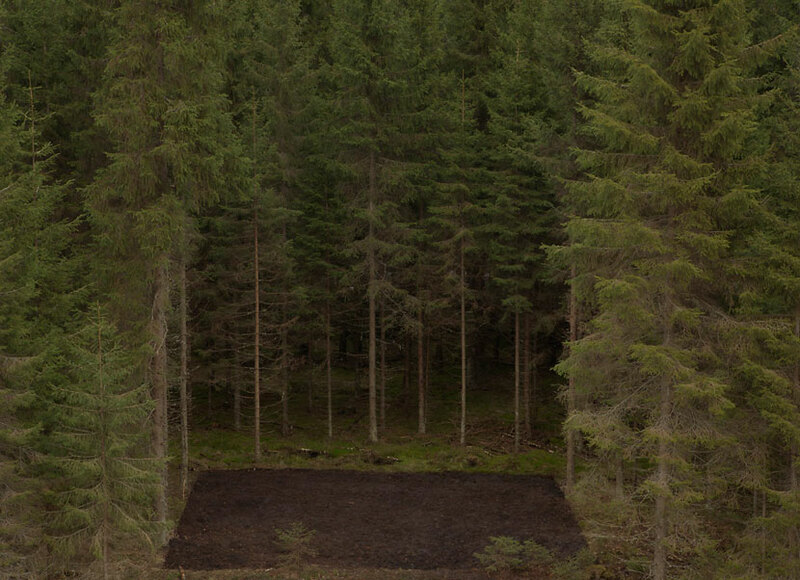 The work is rooted - literally, in this case - into 100 square metres of forest: after Laitinen had felled the trees and torn out their roots from the ground, he removed the covering layer of soil from the area. After this, he started to sort the materials into their constituent parts and finally to assemble the material into a carefully composed area for photography. Sorting the forest and the layer of peat in a factory hall took several months, and in the end, necessitated working nearly around the clock. During this time, life was also born in the hall: spiders and butterflies escaped after having woken from their winter torpor. 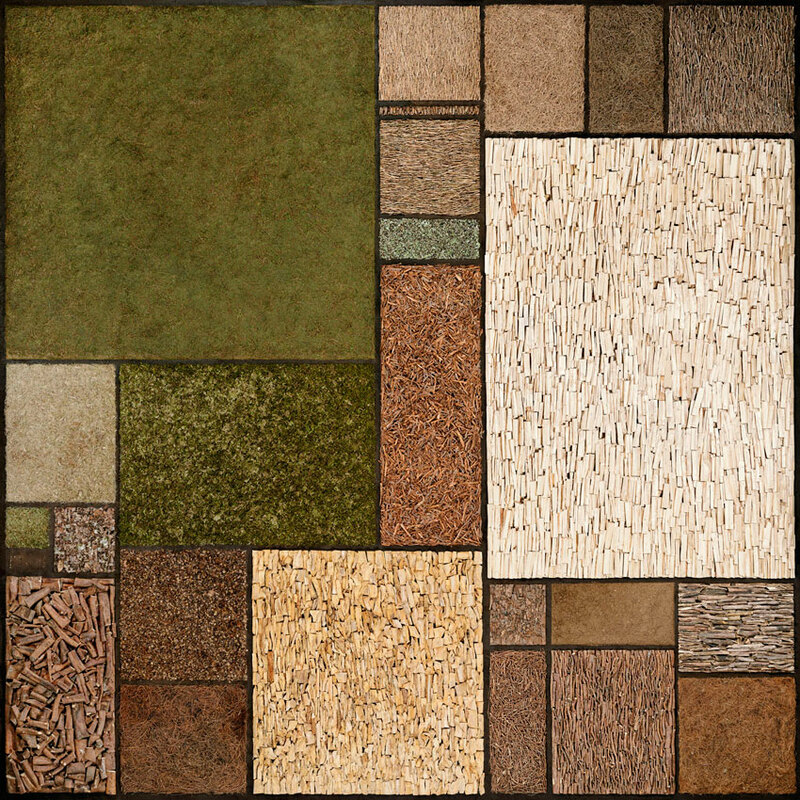 The sorted forest looks like a colour composition and takes exactly one hundred square metres of space, just like the original patch of forest. The process of photographing the composition proved challenging, and the final work of photography consists of over 60 photographs needed to show the smallest of details. The two other images in the triptych show the forest area before and after the clearing. Many features characterising Antti Laitinen as an artist culminate in this work: craftsmanship, concrete thinking, repetition, the coexistence of exhausting persistence, the transience of the blink of an eye and tragicomedy. Laitinen is generally considered to be an artist of extremes; after all, he has sailed from Finland to Estonia in a bark boat of his own making (Bark Boat 2010), built his own island (It's My Island 2007), and spent several days in the forest without food or clothing (Bare Necessities, 2002). On the other hand, in the works of Laitinen the mirror inevitably turns towards the viewers, who find themselves questioning the rationality of both their everyday use of time and the society around them. The fact that about 5,000 kg of birch logs split into firewood will be transported to the Biennale also says something about Laitinen's working methods. The wood felled and chopped by Laitinen serves as material for the performance and installation planned for the front of the Aalto Pavilion. With the help of a hammer and nails, they will become a forest of their own. The 55th international Venice Biennale will be held on 1 June - 24 November 2013. Frame Visual Art Finland is responsible for the Finnish participation in the Venice Biennale.